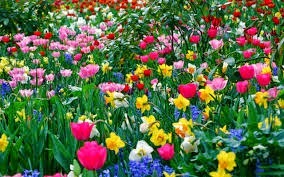 I like Nature because she is kind to me and my friends too in Class 20 and she will be my friend. Art Attack - exploring with paint! 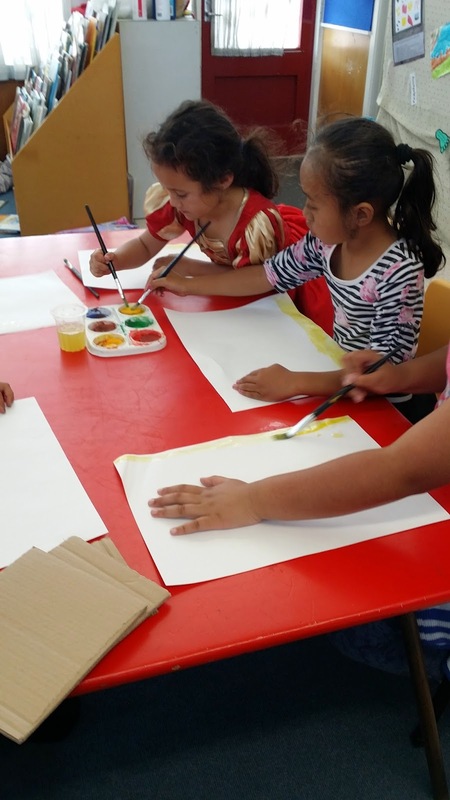 After our river trip on Thursday Class 20 created river scenes using paints. Our finished masterpieces are ready to be displayed on our wall, and we enjoyed exploring this medium. 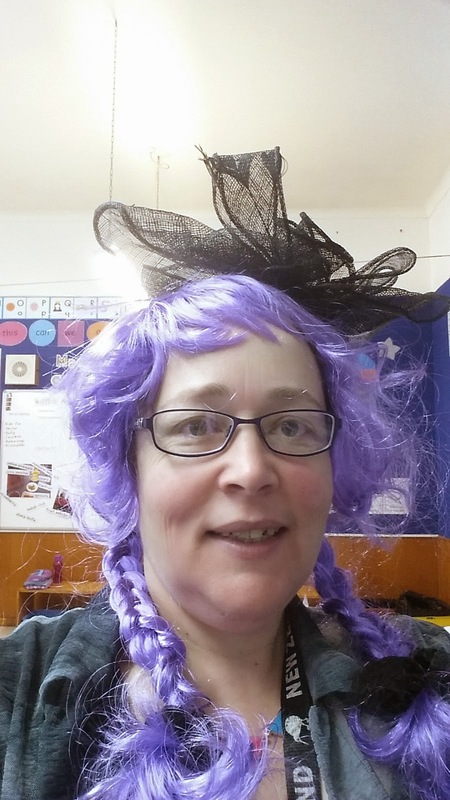 Today is mufti day and wacky hair day. Class 20 look different today! Check out our hair today! 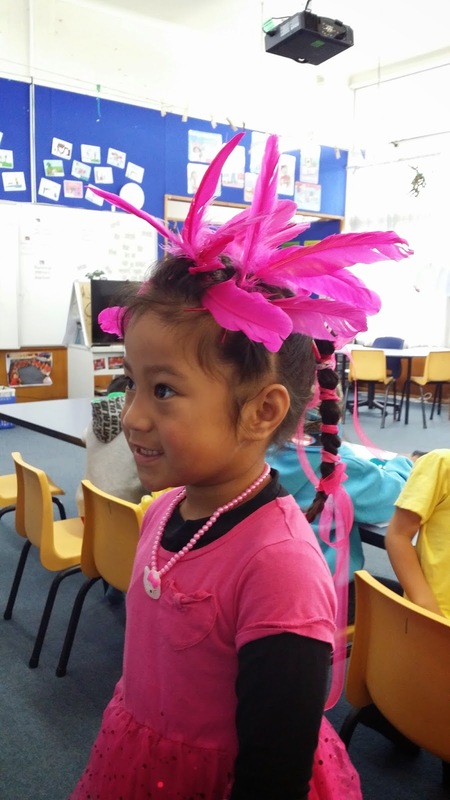 Julianna's wonderful wacky hair won a prize at assembly today! We are a little worried as to where Mrs Belt is today ... as this strange person turned up in her place! 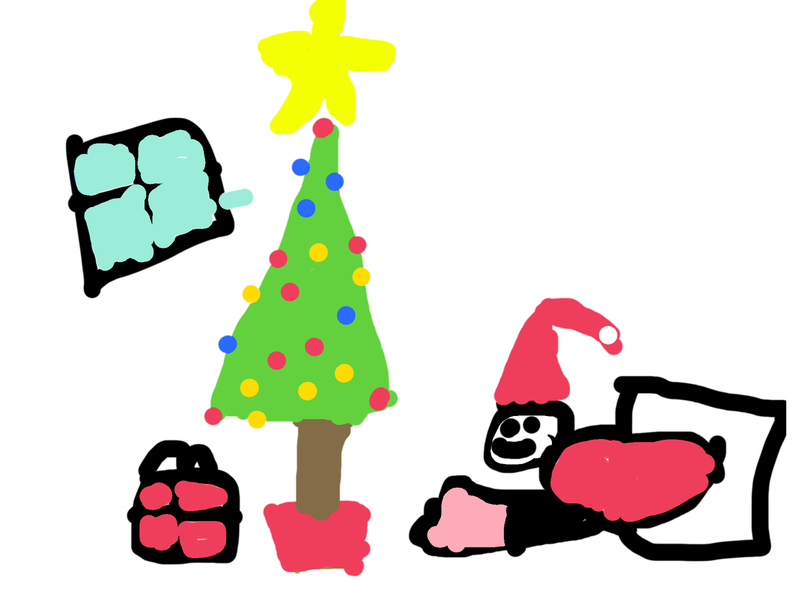 I can't wait for Christmas because Santa gives us presents. I want my present to be a teddy bear from Santa. I am looking forward to Christmas and Santa is going to bring some presents under the tree. I am excited to see Christmas and I love Santa. I can't wait to get a present. I love Christmas. I've been waiting for Christmas. 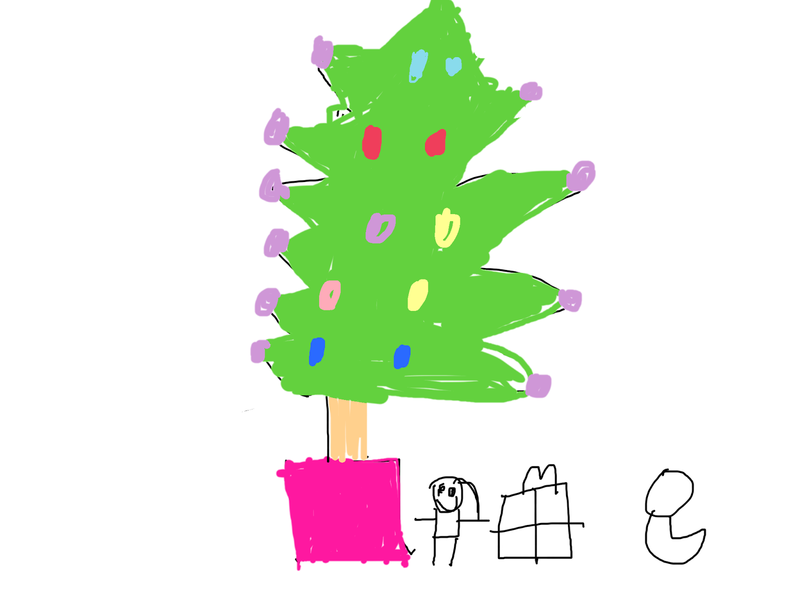 I am going to make a card for Santa. I am going to put cookies and milk out because he has to have some breakfast before he puts the presents under the tree. 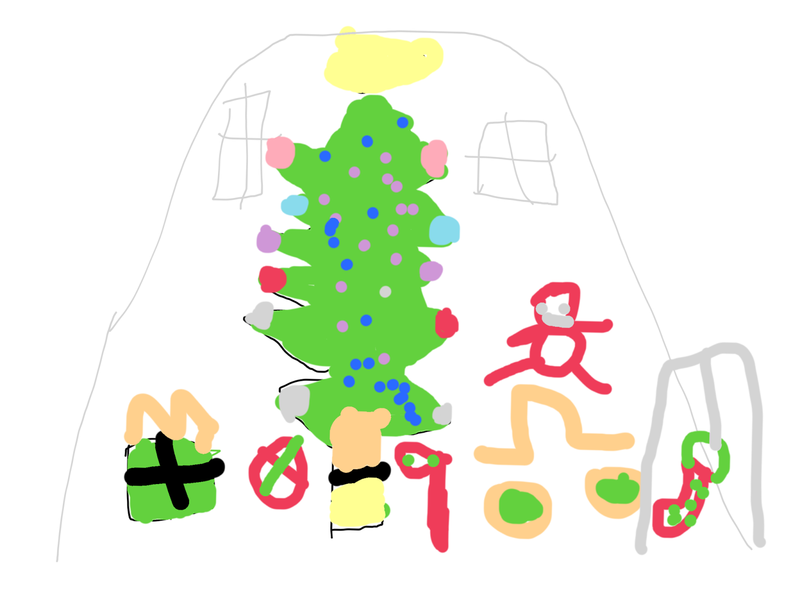 I like Santa because he is putting the rainbow decorations on the tree. Santa is coming to my house. I can't wait to get my present. I can't wait for Christmas. I like Santa because he gives us presents. 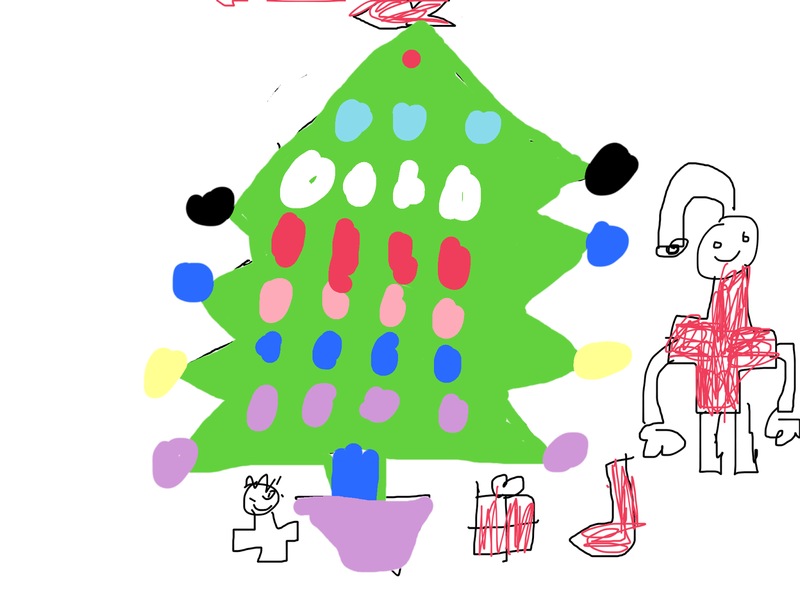 I like Christmas because my family is going to be having a spikey Christmas tree. I can't wait for Christmas because it is in one month. I like to go to the park and I got to have a little play. When I was playing I saw some monkey bars. Once upon a time my favourite princess on Frozen was Princess Ana. When her sister threw her powers at Princess Anna, she gets sick. I just want to go to the beach to play with my friends and we love to have a ball so we can play ball tag. 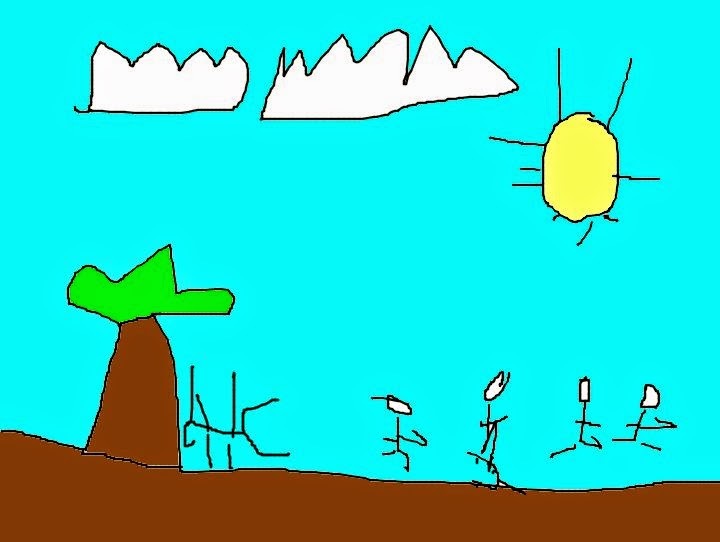 Today the learners in Class 20 used ScratchJr to create an animation of their favourite event from athletics day last Friday! Some of the learners in the class shared their creations using the Apple TV. We were lucky to have the learners from Class 12 visit us earlier this month and show us some of the amazing ways that we can use ScratchJr. ScratchJr allows us to create objects and characters and make these creations move using simple commands in a jigsaw like formation. 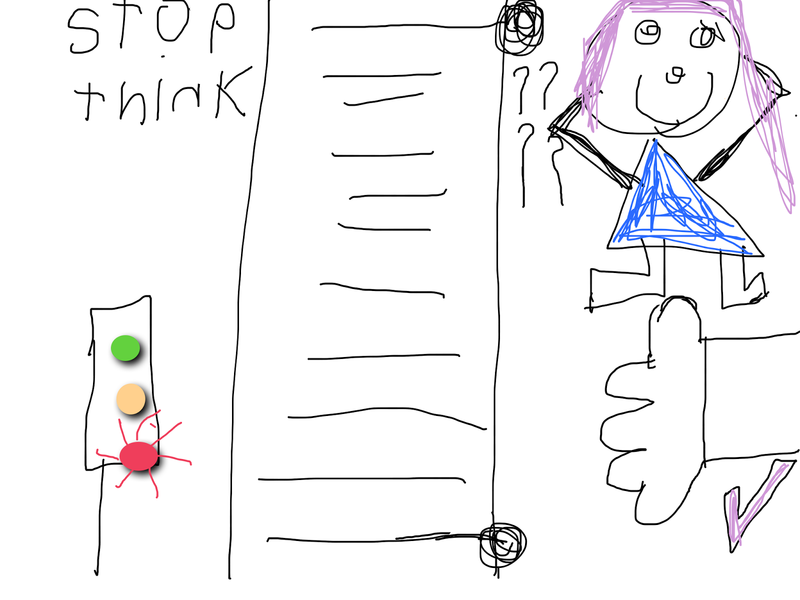 Check out this example created by one of our learners during our session today! His favourite activities were the sprints and throwing events and he created two projects to show this. In the morning Kahurangi and I got to go with the seniors in a big bus to the film festival. I Iiked going on the big stage with Kahurangi . Most of the learners in Class 20 started school at the beginning of this year and all have made amazing progress on their "learning to read" journey. We wanted to celebrate and share the importance of reading as part of our Manaiakalani Film Festival movie, while making the story interesting for the audience. 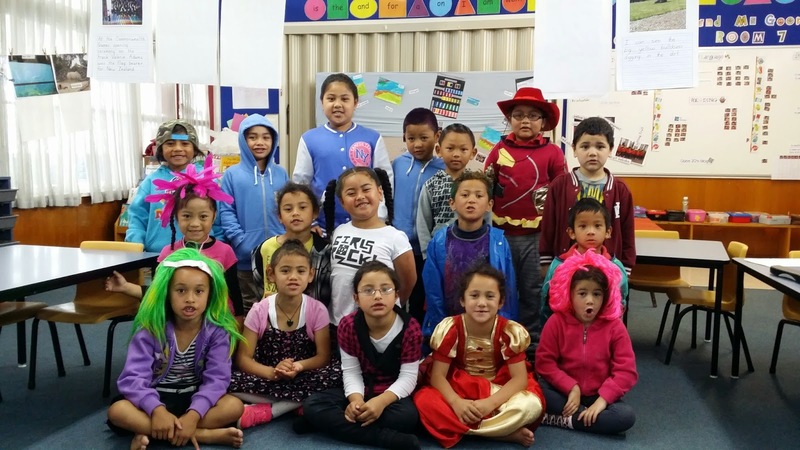 One of our favourite activities in Class 20 is exploring the dress-up box we have, and our movie gave everyone the opportunity to become an actor, and enjoy wearing a costume in front of the camera! All children enjoy a fairy story and we hope you enjoy viewing our movie as much as we enjoyed creating it for you! Congratulations to ALL the actors and actresses from Class 20 that worked hard on learning lines and getting into character for their big screen debut! Ms George and Mrs Belt are extremely proud of the enthusiasm and attitude of all our stars! Today we welcomed Troy to Pt England School and Class 20! It will be a great start for Troy as he will join us on the trip to the Film Festival on just his second day at his new school. Here is Troy drinking his milk with his new friends from Class 20.
iPad Safety ... our PENN movie for the term! Class 20 has had the privilege of being an iPad pilot class this year! We've decided to carry this aviation theme into our PENN movie for the term and have created an iPad safety video to assist learners on their 1:1 device journey in 2015. We encourage you to sit back, relax, and pay close attention to this message. Before morning tea and lunch today we talked about our assembly kōrero from last week and what sort of things were the 'right choice'. Class 20 even made some actions to help remind us about this important message. Stop - Think - Make the Right Choice! We talked about how we could remember this when we were on the playground. 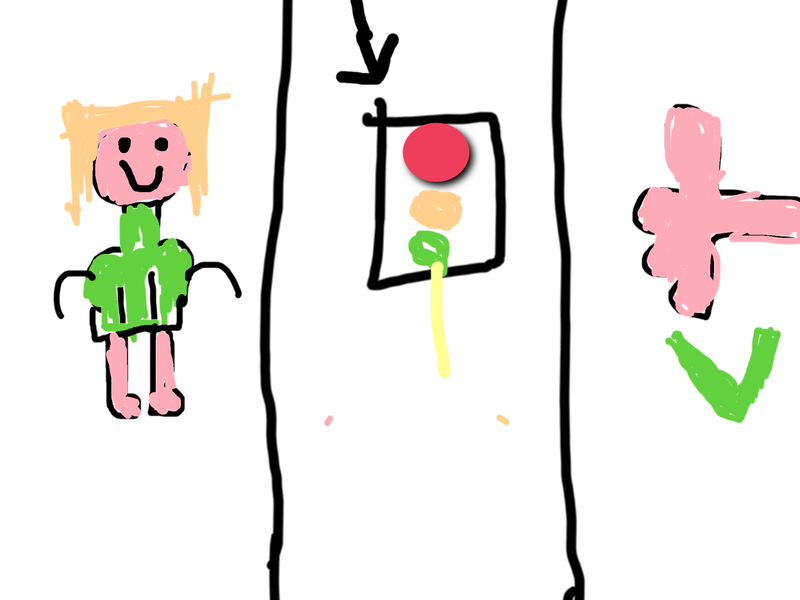 One of our learners suggested that the red traffic light means STOP! 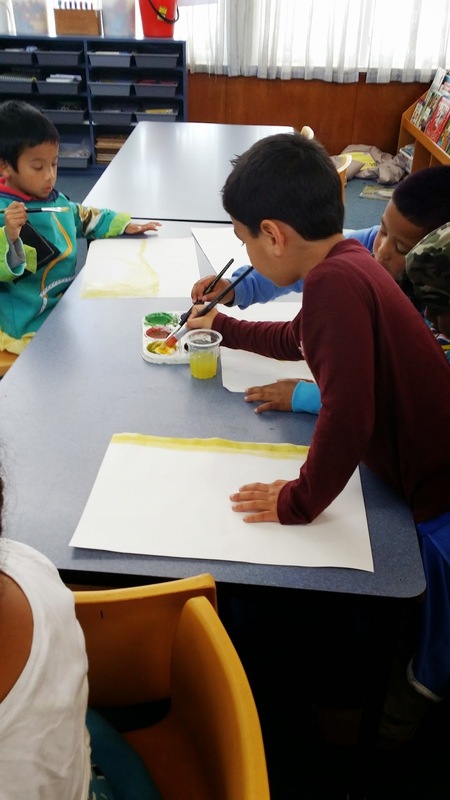 We thought about how we could use art to remind us about this message and we have created an Explain Everything to represent the three parts of the kōrero. Some learners decided to divide their page into three pieces, while others combined all parts into one illustration. Be safe when you do your fireworks, even with the Mums and Dads be safe too! 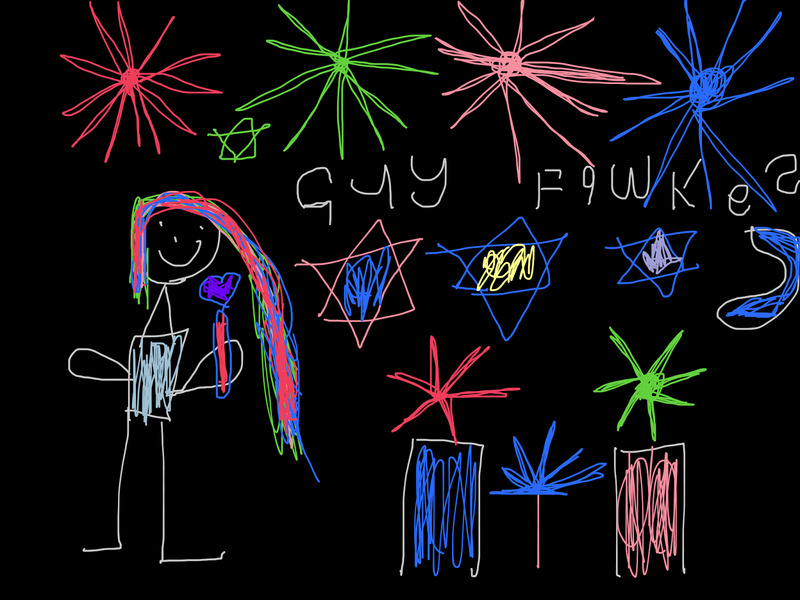 I like the colourful fireworks and the rockets and the sparklers. 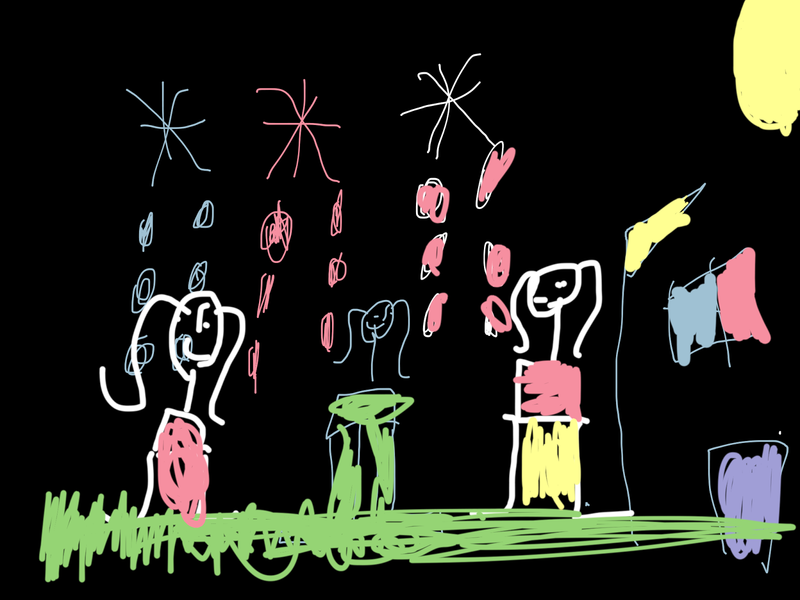 I like fireworks because they are going up in the sky. 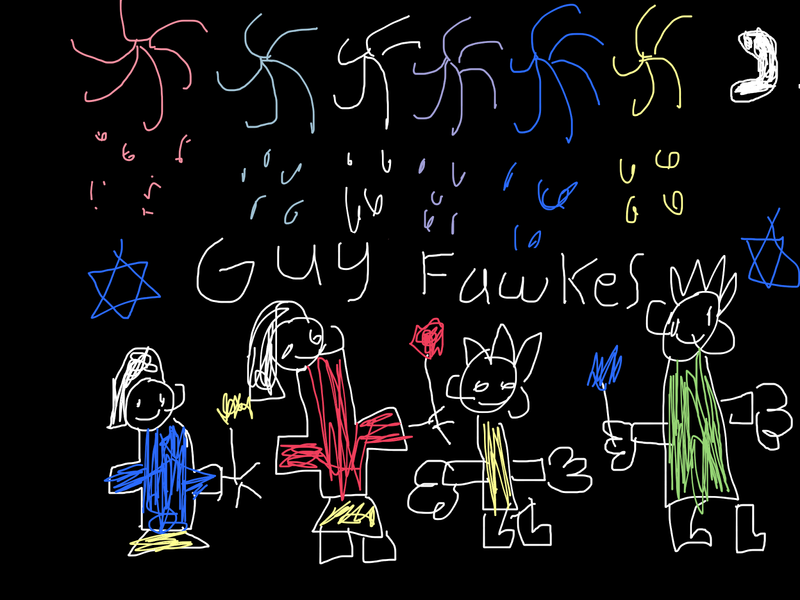 I like to go with my family because it is fun to see the fireworks and Guy Fawkes tonight. I like fireworks and sparklers and I come with my Mum and Dad to get the fireworks and sparklers. 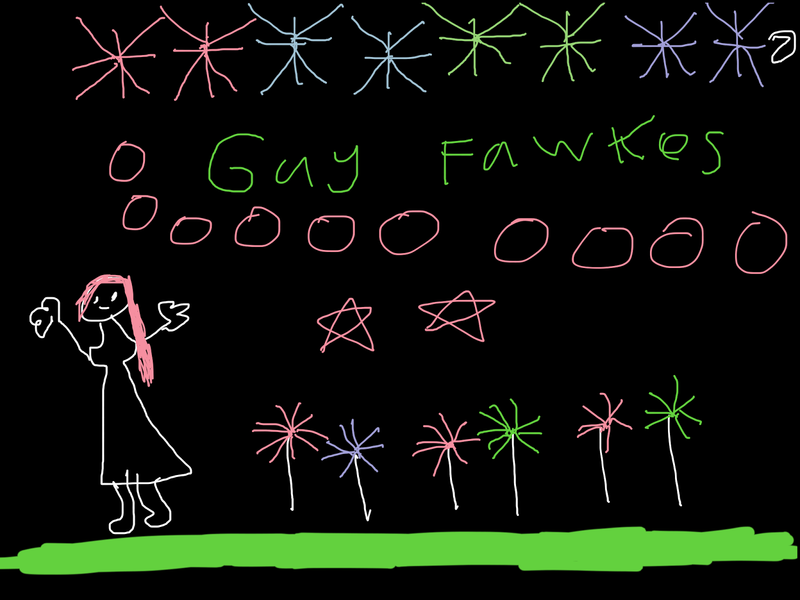 Today is Guy Fawkes day and we can light up some fireworks. But you can't light them up, only an adult can light them up. Today Class 20 were extremely lucky to have some of the wonderful learners from Class 12 come and share their learning with us. We were able to buddy up two Class 20 learners with one expert from Class 12 to teach us and guide us as we created some amazing animations. 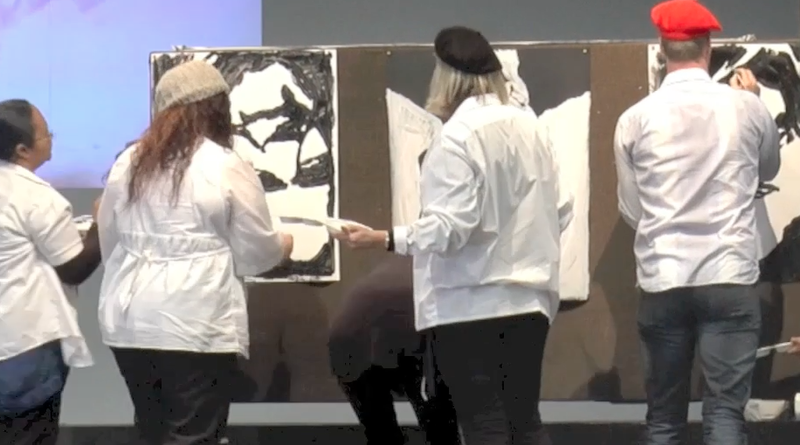 All our learners created their own images (rather than using the clipart which comes with the program) and added animation using the easy-to-use jigsaw pieces to choose a direction of movement. It was amazing to see the engagement of all learners and how they so enjoyed learning from their older peers who were both extremely knowledgeable and patient with us! Thank you Class 12 - we couldn't stop talking about our morning and can't wait to practise all the things you have shared with us! Class 20 has been asking to write about Halloween for the past few days. They were able to contribute some amazing ideas and have created some great stories unsupported! I like dressing up as a skeleton because it is fun and because you can scare everyone. Tonight it is going to be Halloween and I like it because it is fun. It is Halloween tonight and I'm going to be a ninja turtle. Me and Dad are going to trick or treat. Yes, it is Halloween today and its going to be so so so so special because I like Halloween because it is fun. My family is coming too and its going to be so so so fun. Tonight is Halloween and I am going to be Snow White. I like Halloween because I like to get candy. I like to be Cinderella because it is Halloween tonight. 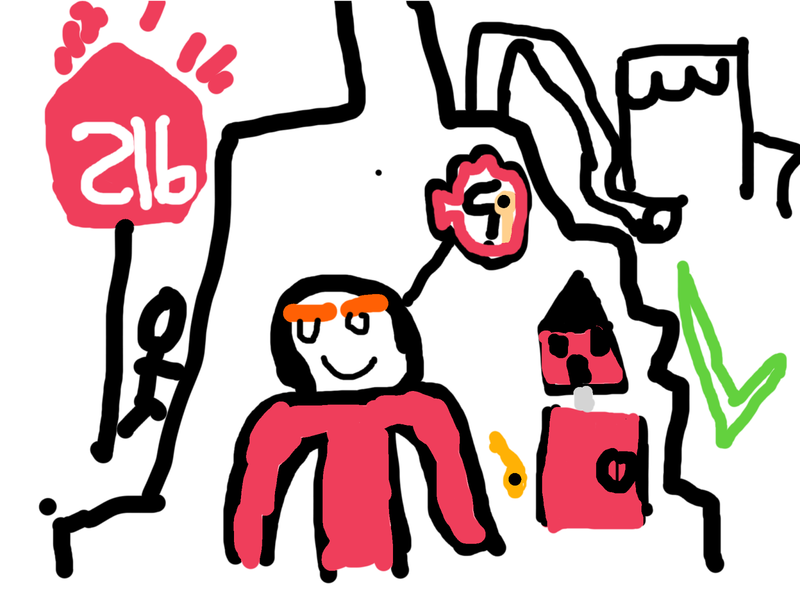 My and Nytram and Rozaia are walking to get lollies with my Mum and my Dad because it is fun to go trick or treating. I like my classmate because he is always there for me. But some times we moan at each other and some times we do not moan at each other. 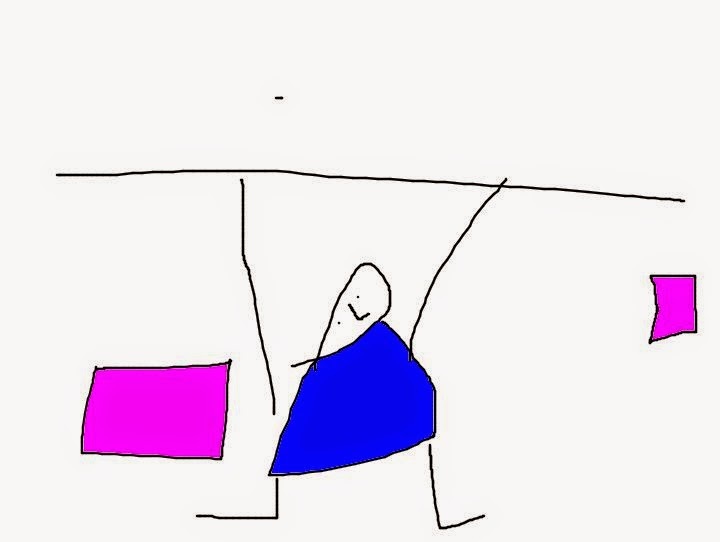 NB: This story was uploaded by the learner directly to the blog. I like my cousin because she is so wonderful. She is kind and she is so beautiful and looks after me. She lets me play on her bike and that is why she is wonderful. 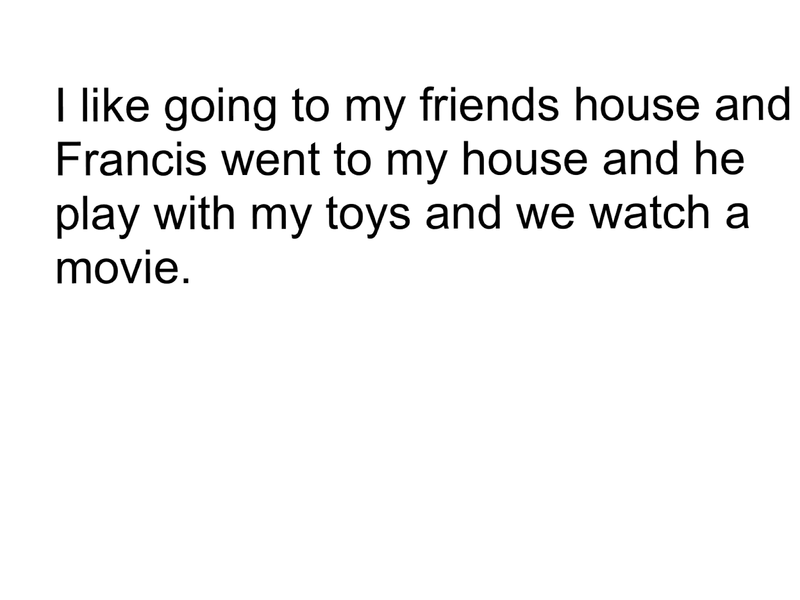 This story was uploaded to the blog with the learner. 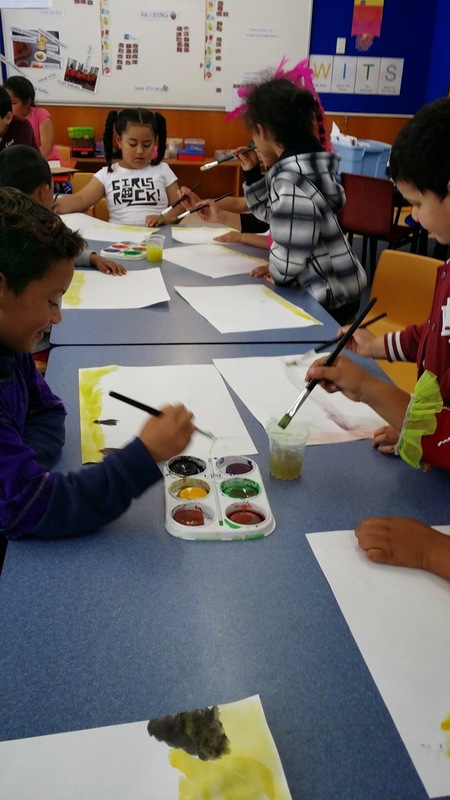 As part of our immersion week for Art Attack,this week Class 20 have created River Scenes using crayon and dye. Our finished masterpieces are on display in our classroom and corridor. It was great to see the attention to detail that the learners displayed with both the crayon and dye, although it was definitely using the dye that was the highlight! 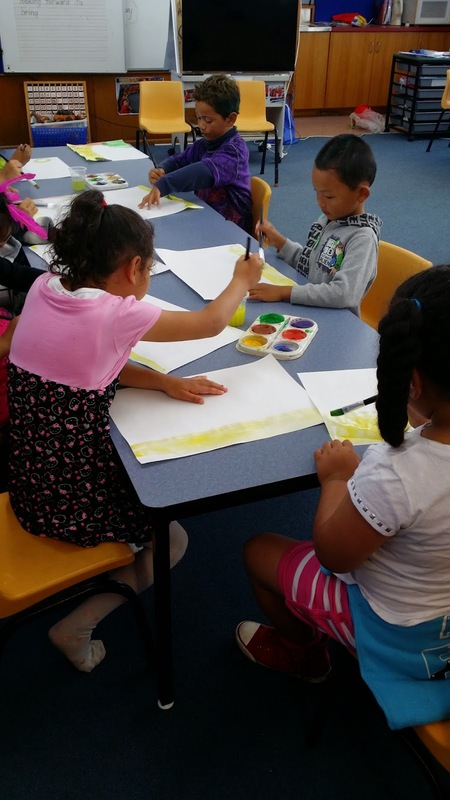 Check out the learners as they worked their artistic magic in this short video and don't forget to view the finished masterpieces in our classroom. 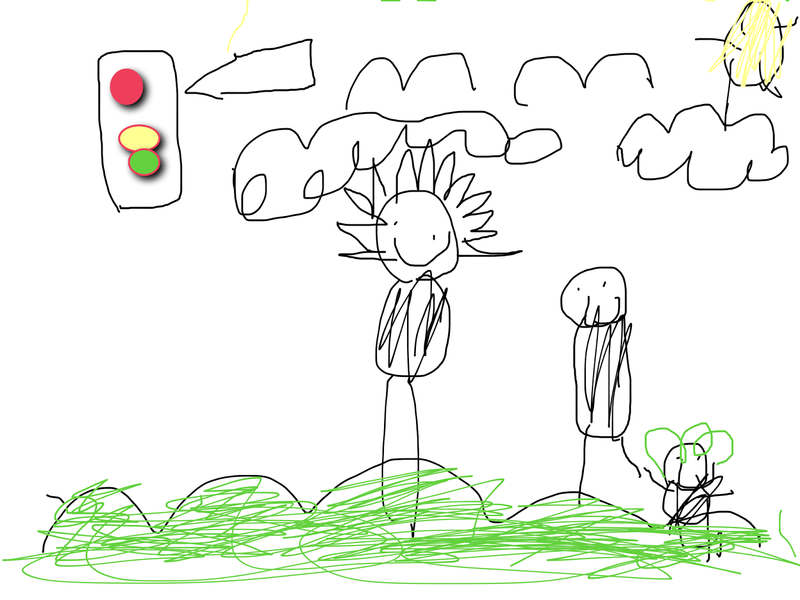 I drew a picture of the river and on my picture was a green tree. Today we are going to dye my picture with Mrs Belt and Ms George. 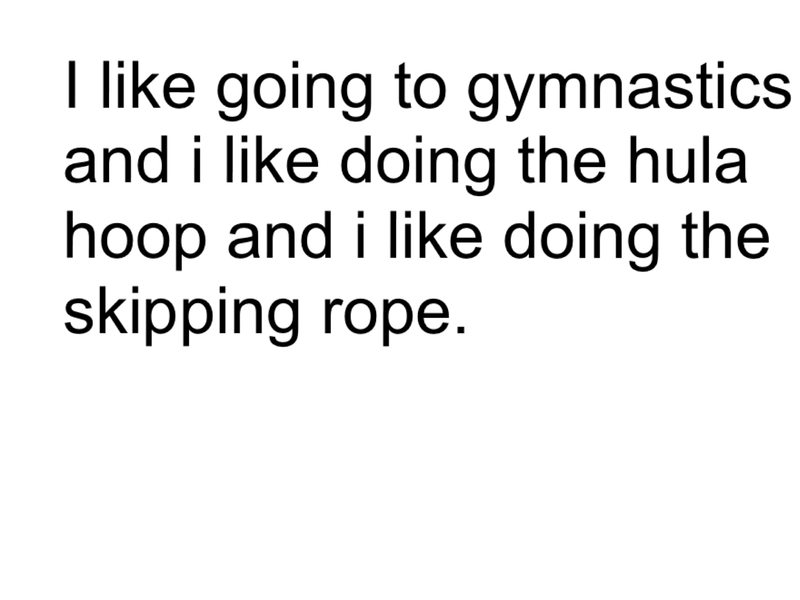 This post was independently added to our blog by the learner using the Blogger App on her iPad. After reading Lucky goes to Dog School today, Julianna completed her reading activity and decided she'd like to have a dog as a pet. 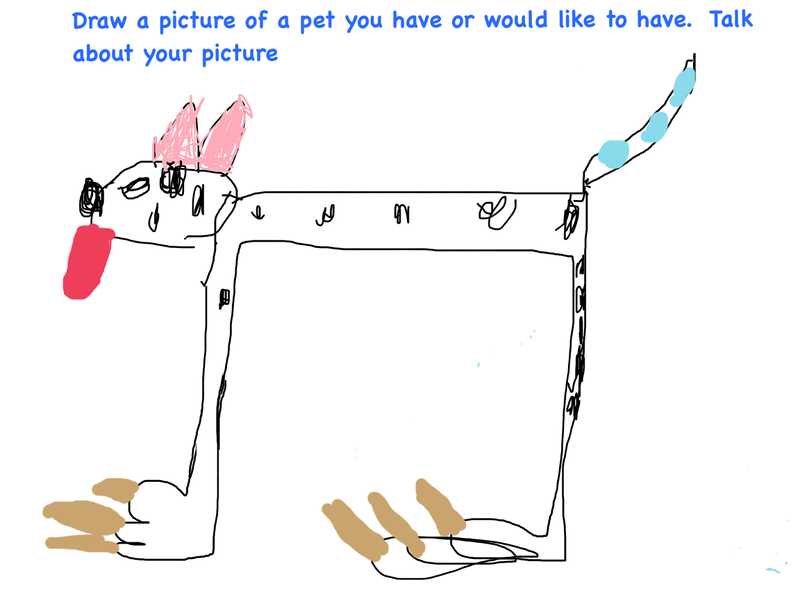 Check out Julianna's pet picture. Class 20 and Class 24 are joining together for Football every Tuesday after lunch. At our first session today, we met our instructor, Ben! Both classes really enjoyed a game of traffic lights as our warm up. This game extended, with the use of soccer balls - it was great to practice our ball control. 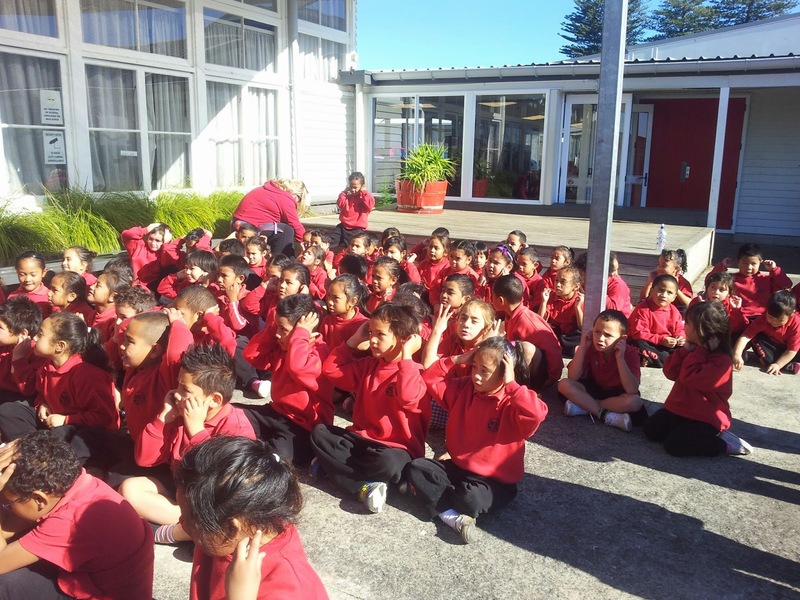 Our last game, had Class 20 and Class 24 protecting their balls, using only their feet, while Ben, Mrs Moala and Mrs Belt tried to get them off us! We are all looking forward to our next session with Ben next Tuesday! I went to play on my bike. I went to the park. At the park I played on the monkey bars. I swung on the bars three times. I went to my Nan's house and I went to church and I went to the airport with my family. This term we are looking at "What Makes a Champion" as we learn about the Commonwealth countries, the Commonwealth Games and how we can all be champions. Our PENN movie this term focuses on some of the things we have been doing, and the responses Class 20 gave when we asked them "What Makes a Champion?" This week we've selected two writers who have done an amazing job! Luisa's story was all her own ideas and she located the words herself. I like to draw a gold medal. 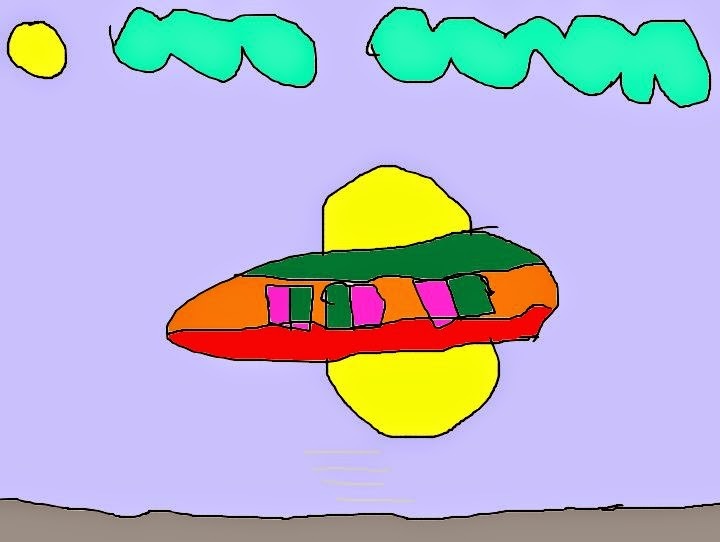 Arkar's story was created completely independently and also his own ideas. I go on an adventure to see a crocodile. Francis Healthy lunch from Team 1 PES on Vimeo. Central healthy lunch from Team 1 PES on Vimeo. Oalii healthy lunch from Team 1 PES on Vimeo. 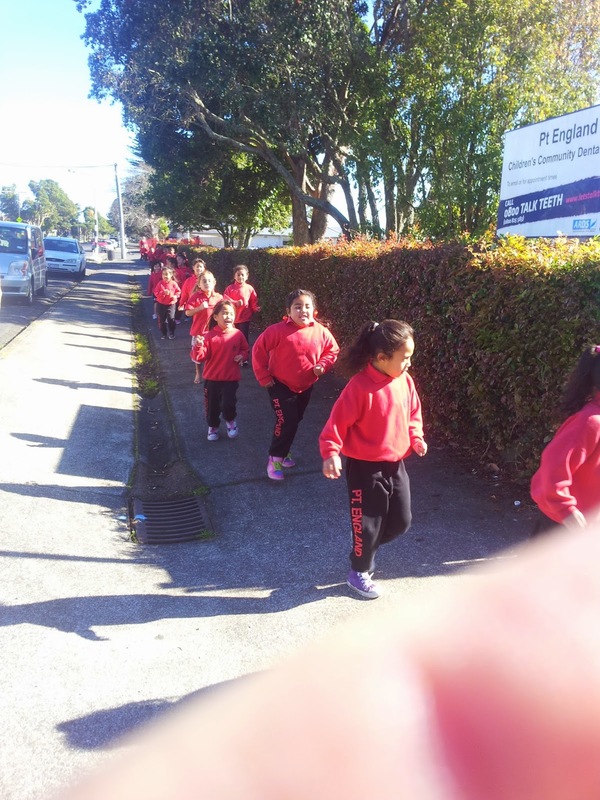 In preparation for our Cross Country race later this term we have begun our training. We train with all the classes in Team 1 straight after morning tea. First we assembled and Ms George told us about the training and which route we would take. Then we had our first training session. Everyone in the whole team did really well! We are looking forward to our next training session tomorrow!